3 Perdido Key Vacation Rentals. Perdido Key, FL Vacation Rentals by Owner features a great selection of first class rental villas, condo rentals and vacation homes, that will allow you to enjoy all the amenities you have at your own home. This barrier island is well-kept secret, however when you arrive to your vacation rental in Perdido Key, you will not be disappointed with this magnificent vacation spot. You have 3 rental properties to view; 3 are premium owners. This rental boasts: 1 bedroom, 1.5 baths, is a Condo located Ocean Front! The gorgeous beaches will allow you to enjoy sunbathing, along with other fun-filled activities. You can enjoy the amazing ocean water by swimming, snorkeling, surfing, parasailing, jet skiing, body boarding, along with more water sports. The lagoons and bayous are a great place to enjoy canoeing and kayaking. Bird Watching is extremely popular in Perdido Key. There is an abundant of bird species that are extremely colorful and beautiful. Other popular outdoor activities that guest enjoy, include hiking, biking, golf, along with local fairs and festivals. You can also check out the local water parks, museums, zoo and amusement parks! If you enjoy visiting sights and attractions, there are a variety of great historical places to see. They include the remains of Fort McCrae, Fort Pickens and Fort Morgan, which were areas that served as key protectors during the Spanish-American and Civil Wars. The USS Massachusetts shipwreck is also a great place for tourists to visit. Two other areas that are extremely popular include Sam's Fun City and The Big Lagoon State Park. The evenings in Perdido Key are absolutely fantastic. There are great places to enjoy a tasty dinner, which may include: steak, seafood, pasta and the list goes on. The area has several bars and lounges that host great musicians, concerts and other live entertainment. Some hot places that is highly recommended to enjoy music and fun are Flora-Bama Lounge, as well as Package & Oyster Bar. Most people enjoy shopping, while they are on vacation. Well, if you are one of them, your in for a real treat. Perdido Key has a variety of boutiques and local stores that provides great shopping for all kinds of items. You can find good deal on rugs, antiques, jewelry and even home furniture. You will be absolutely amazed at all the unique stores located in Perdido Key. If you are looking to visit Florida here soon, Perdido Key is a great place to book a vacation rental by owner. The area is laid back and does not have the crazy traffic you may encounter in the bigger cities of Florida. You can search through a large selection of Perdido Key, FL Vacation Rentals by Owner at ivacationonline.com and book direct by owner at a great value. 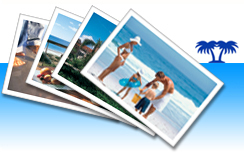 You can book your next vacation right here at www.ivacationonline.com using ourvacation rental management software.Why stay in a hotel, when you can have the luxury of your own home at a better rate!